This article is about the manga and anime. For the live-action film adaptation, see Gintama (film). Gin Tama (Japanese: 銀魂, Hepburn: Gin Tama, "Silver Soul") is a Japanese manga written and illustrated by Hideaki Sorachi and serialized, beginning on December 8, 2003, in Shueisha's Weekly Shōnen Jump. Set in Edo which has been conquered by aliens named Amanto, the plot follows life from the point of view of samurai Gintoki Sakata, who works as a freelancer alongside his friends Shinpachi Shimura and Kagura in order to pay the monthly rent. Sorachi added the science fiction setting to develop characters to his liking after his editor suggested doing a historical series. The series has been adapted into an original video animation (OVA) by Sunrise and was featured at Jump Festa 2006 Anime Tour in 2005. This was followed by a full anime series, which debuted on April 4, 2006, on TV Tokyo and finished on March 25, 2010. A sequel titled Gintama' first premiered in Japan on April 4, 2011 and ended on March 26, 2012, before returning once again for a brief run from October 4, 2012 to March 28, 2013. A continuation of the TV anime series titled Gintama° began airing on April 8, 2015, and ended on March 30, 2016. Two animated films have also been produced. Besides the anime series, there have been various light novels and video games based on Gin Tama. A live action film adaptation of the same name was released on July 14, 2017 in Japan by Warner Bros. Pictures. A new anime series continuing after the events in the Gintama° anime series, named Gintama. premiered on January 9, 2017. The manga has been licensed by Viz Media in North America. In addition to publishing the individual volumes of the series, Viz serialized its first chapters in their Shonen Jump manga anthology. It debuted in the January 2007 issue, and was serialized at a rate of one chapter a month. Sentai Filmworks initially licensed the series. The website Crunchyroll purchased the anime's streaming rights and home video rights. In Japan, the Gin Tama manga has been popular, with over 55 million copies in print, making it one of the best-selling manga series. The anime and its DVDs have been featured, at various times, in Top Ten rankings of their respective media, while TV Tokyo has announced that the first Gin Tama anime was responsible for high sales overseas along with the anime adaptation from Naruto. Publications for manga, anime and others have commented on the Gin Tama manga. Positive responses have focused on the comedy and characters from the series, as well as its overarching plot and action choreography. The story is set in an alternate late-Edo period, where humanity is attacked by aliens called "Amanto" (天人, "Sky People"), and the samurai of Japan join the battle against the aliens, but when the shōgun realizes the power of aliens, he betrays the samurai and surrenders to the aliens. The shōgun writes an unequal contract with aliens which allows the aliens to enter the country and places a ban on carrying swords in public. The swords of samurai are taken away so they can no longer resist the aliens. After that, the shogunate becomes a puppet government. The plot is focused on an eccentric samurai, Gintoki Sakata (a.k.a. Odd Jobs Gin), who helps a teenager named Shinpachi Shimura save his sister Tae from a group of aliens who want to make her part of a brothel. Impressed with Gintoki, Shinpachi becomes his apprentice and works with him as a freelance odd-jobs man in order to pay the monthly rent on Gintoki's combination home and office, as well as to know more about him. The two of them rescue a teenage alien girl named Kagura from a group of Yakuza who wanted to use her superhuman strength to kill people. Kagura joins Shinpachi and Gintoki to work as freelancers and the three become known as "Yorozuya" (万事屋, "We do everything" or literally "The Anything Store"). While doing their job, they encounter the police force Shinsengumi several times, who normally ally with Odd Jobs Gin in their work since the jobs commonly involve dangerous criminals. They eventually meet some of Gintoki's former comrades from the fight against the Amanto's invasion, including the revolutionary Kotaro Katsura who maintains a friendly relationship with them despite his terrorist activities against the bakufu. On the other hand, Shinsuke Takasugi acts as a major antagonist throughout the series, as he wants to destroy the bakufu and sees his former comrades as enemies. Although the series' story is commonly episodic, there are also a few story arcs which are developed through several chapters. Across several story arcs Takasugi starts gaining allies including Kagura's brother, Kamui, and the elite unit Mimawarigumi to prepare for his large scale coup d'état. Following the assassination of the ruling shōgun, Shige Shige Tokugawa, the Shinsengumi rebel against the new shōgun Hitotsubashi Nobunobu. After the Introduction of Utsuro as the shows main villain during the 'Farewell, Shinsengumi' arc, the plot then shifts to Gintoki along with his friends and enemies trying to stop Utsuro from destroying both Earth and the Universe. Hideaki Sorachi's main focus in Gin Tama is the use of gags; during the manga's second year of serialization he started to add more drama to the story while still keeping the comedy. Various jokes from the manga are comments regarding clichés from other shōnen series. For example, in the first chapter after Gintoki fights a group of aliens to protect Shinpachi and Tae, Shinpachi complains that he only fought for "one page" and Gintoki replies, "Shut up! One page is a long time for a manga artist!" Gintoki's exaggerated desire to read the Weekly Shōnen Jump (which causes him to fight other readers in order to get it) also makes fun of shōnen, since during those parts characters quote them. Other types of comic situations are more general, so that the reader must know about Japanese culture to understand them. The humour is described by publications as being "bizarre" and "weird". It is also described as being divided between two categories: "sci-fi comedy" and a "samurai comedy" with the former referring to the aliens. It tends to point out "an irritating foible about modern society" including celebrations days or famous mythical figures. Additionally, there are references to several historical figures with a few characters from the story being based on them. Besides the series' comedy, the aliens' invasion in Japan bring several social issues between them and the humans with the most recurring one being the lack of social equality. As a result, one of the main themes involves society trying to preserve their own way of living rather than fulfilling a dream like in other shōnen series. In 2003, Hideaki Sorachi was an up-and-coming manga artist who had already created two one-shots for the Weekly Shōnen Jump magazine. Although he was preparing to write his first serialized series, his editor suggested he create a manga series based on the Shinsengumi, mostly inspired by an upcoming TV-drama about the 1860s troupe as depicted by idol actors. Sorachi attempted to create this series since he admitted to liking the Shinsengumi, but ultimately failed to get anything off the ground. Instead of abandoning the idea completely, he remained focused on the historical Japanese era but began to create his own story, adding in elements of science fiction and fictionalizing many of the figures from the era to create a story more to his own liking. The original title of the series was meant to be "Yorozuya Gin-san" (万事屋銀さん, lit. "Odd Jobs Gin-san"), but it did not have any impact on Sorachi. After great debate, he decided to go with the name Gin Tama after discussing it with his family, deciding on a name that sounded close to the edge without being completely off it. Although Sorachi considered the one-shot "Samuraider" to be very poor, the setting of such one-shot served as the base for Gin Tama such as the addition of alien characters. Sorachi liked the Bakumatsu and Sengoku periods due to how both were eras of change and thus presented the positive and negative points of humanity. The series was then set in an alternate Bakumatsu to give a bigger significance to the characters' bushido as in that time samurais were at the low point of their lives. The main character of the series was originally meant to be Toshiro Hijikata as Sorachi was a fan of the Shinsengumi, most notably from Hijikata Toshizō (the Shinsengumi who was the base for the one of Gin Tama), after he saw the film Burn! Sword!. When Sorachi could not "shake off" Hijikata's initial design, he decided not to use him as the lead character, but added him along with the Shinsengumi to the story. The pilot chapter from the series had a different plot to the one from the serialization: Shinpachi already met Gintoki in the story and there were more Shinsengumi to the story such as one based on Harada Sanosuke. As all these new Shinsengumi were older than most of the recurring characters from the series, Sorachi removed them thinking they were not entertaining. When asked by a fan, Sorachi mentioned that most characters from the series are based on real-life Edo citizens while Gintoki's character is roughly based on the folk hero Sakata no Kintoki. When starting serialization the manga was unpopular and was close to being cancelled. Although Sorachi was pleased with the first tankōbon selling all of its copies, he later learned Shueisha was afraid of poor sales which resulted in the minimum printed. In order to increase its popularity, the author introduce new characters, the Shinsengumi, who felt memorable to his assistants. Sorachi had little hope on the manga's popularity, as he noted that people used to tell him the manga would not surpass the number of two tankōbon volumes. However, once the third volume was released, Sorachi found that he did not have "any fresh material to use." During the first year of the series, Sorachi believed that the source of the popularity of Gin Tama was partially connected to the Shinsengumi drama. While the drama ran during the first year of the series, when the manga was mostly shorter stories that established the characters and the world, he felt uncomfortable of making things related to the drama. By the second year and beyond, he became more daring in his stories and concepts, creating longer storylines that included more drama while keeping his sense of humor and satirization of modern Japan by way of his fictionalized past. Although Sorachi has already planned the series' ending, he is not sure when the manga is going to reach that point due to the characters requiring development to behave the way he wants. When working on a chapter of Gintama, Sorachi sometimes has problems finishing the manuscript, leaving his supervisor to take it before he can revise it. He figures out what to write by staying in his room or going for a walk. Although he commented that some of his ideas are "random," he focuses on the fact that they are all related to the manga, and when he has problems coming up with ideas, Sorachi is often helped by his editor. Thinking of Gin Tama as a "non-sense manga," before writing a chapter, Sorachi decides whether it should be a comedy or a drama. Sorachi defines Gin Tama as a "science fiction human drama pseudo-historical comedy." When Sorachi is illustrating Gin Tama, he usually uses a felt-tip pen, a fountain pen, a brush-tip pen, and a multiliner, but for the major characters he only uses a felt-tip pen and a fountain pen, and does their outlines with a multiliner-0.8. The manga chapters of Gin Tama are written and illustrated by Hideaki Sorachi. They have been serialized for the manga anthology book Weekly Shōnen Jump from Shueisha since December 8, 2003. Shueisha is also publishing the first chapters of Gin Tama online on their Weekly Shōnen Jump official website. Viz Media licensed Gin Tama for publication in North America. A 55-page preview from the series was first featured in the January 2006 Shonen Jump issue. Viz acquired the license to publish chapters from the series in the Shonen Jump during the San Diego Comic-Con International in 2006. The chapters were serialized in Shonen Jump from January to May 2007 at a rate of one chapter a month. In August 2018 it was announced that the manga would end on September 15 in Weekly Shōnen Jump, and later it was announced that the manga would be transferred to Jump Giga. It ran in three consecutive issues, starting on December 28, 2018 and finishing on February 22, 2019. Initially, It was reported that the series would end in its 77th volume, however, in February 2019, it was announced that the manga will continue in a free Gintama app. Shueisha has been collecting the chapters in tankōbon volumes with the first being published on April 2, 2004. Seventy-two volumes have been released in Japan. In North America tankōbon were published under Viz's "Shonen Jump Advanced" imprint. The first volume was published on July 3, 2007, while on August 2, 2011 Viz published the twenty-third volume. Publication of the series by Viz Media ended with that volume with no reasons given. The Spanish Glénat–EDT edition had already been stalled with 16 volumes in 2010. In August 2012 EDT's director Joan Navarro claimed the last six volumes sold less than 600 copies, causing about €3,170 in losses each. After EDT had Shueisha's publishing rights withdrawn the following month, Gintama was one of a number of series not picked up by other publishers. Two animated specials of Gin Tama were developed by Sunrise for the Jump Festa Anime Tour 2005 and 2008. The first one, having the same title, is composed of various autoconclusive stories meant to introduce the characters from the series. The second special titled Shiroyasha Kotan (白夜叉降誕, lit. "White Demon's Birth") is initially set in the war between aliens and samurais and it is later revealed to be a hoax. On September 30, 2009, a DVD named Gintama Jump Anime Tour 2008 & 2005 was published by Aniplex. It contains the 2005 and 2008 specials and an audio commentary. On Weekly Shōnen Jump's 34th issue of 2014, it was announced tha the Gin Tama anime will return for a one-episode special for the year's Jump Special Anime Festa tour. The anime special DVD will be bundled with the limited edition of the 58th manga volume to be released on April 3, 2015. An anime adaptation by Sunrise debuted on TV Tokyo on April 4, 2006. The first ninety-nine episodes were initially directed by Shinji Takamatsu. Episodes 100 to 105 were directed by Takamatsu and Yoichi Fujita, while the following episodes are being directed only by Fujita. The subtitle for the Gintama anime could be loosely translated as "The starting point is the utmost importance for anything, so trying to outdo oneself is just about right." During January 2009, Fujita mentioned he was not going to work in the fourth season of the series starting in such year. However, in February 2009, it was confirmed that the anime would continue for a fourth year, once again directed by Fujita. The series ended on March 25, 2010 with a total of 201 episodes. In Japan, Aniplex distributes the anime in DVD format. A total of thirteen volumes were released for the first season, between July 26, 2006 and June 26, 2007. The second season was released over another set of thirteen volumes between July 25, 2007 and July 23, 2008. Season 3 was also released in thirteen volumes from August 27, 2008 to August 26, 2009. The fourth season was collected released in thirteen DVD volumes from October 28, 2009 to October 27, 2010. In November 2008, an agreement was reached between TV Tokyo and the streaming video service Crunchyroll. Crunchyroll would stream English-subtitled episodes for free one week after they had aired in Japan. Paying subscribers can watch new episodes an hour after they air in Japan. On January 8, 2009, Crunchyroll uploaded their first episode (episode 129) to the service. Alongside new episodes each week, Crunchyroll also uploads episodes from the beginning of the series. The anime is licensed in North America by Sentai Filmworks, with distribution from Section23 Films. Section23 Films' Chris Oarr commented that only the first two seasons were licensed, with an option on the rest. The first collection containing thirteen English-subtitled episodes was released on DVD, April 27, 2010. Only 49 episodes were released before the releases stalled. However, shortly after licensing the Gin Tama film, Sentai Filmworks announced that based on the film's performance, they would consider releasing more of the series in North America, possibly with an English dub. An English subtitled version of the series began airing on Shorts HD on July 12, 2015. On July 1, 2016, Crunchyroll announced that they will re-release the series on Blu-ray and DVD with an English dub. On April 5, 2010, TV Tokyo stations began airing high-definition reruns of older episodes of Gintama under the title Yorinuki Gintama-san (よりぬき銀魂さん, literally "The Very Best of Gintama"), the title being a parody of the "best of" reruns of the anime Sazae-san. In addition to being broadcast in HD, new opening and ending animations and themes have been made. The opening and ending for episodes 1-9 are Does's "Bakuchi Dancer" (バクチ・ダンサー, Bakuchi Dansā, lit. "Fullspeed Dancer") and "Bokutachi no Kisetsu" (僕たちの季節, lit. "Our Season"). Starting with episode 10 and going to 26, the opening was changed to Joe Inoue's "Kaze no Gotoku" (風のごとく, lit. "Like the Wind") and the ending was changed to Vijandeux's "WAVE". Starting with episode 27, the opening changed to Chiaki Kuriyama's "Kanōsei Girl" (可能性ガール, Kanōsei Gāru, "Probable Girl") and the ending changed to Azu's "IN MY LIFE". Starting with episode 40, the opening changed to FLiP's "Karto Niago" (カートニアゴ, Kātoniago) and the ending changed to Piko's "Sakurane" (桜音, "Sakura Sound"). In March 2010, Yoichi Fujita hinted the anime would continue once the staff get enough material to work on it. Shinji Takamatsu claimed the TV series "is absolutely not over. It hasn't even begun yet! It will definitely return." In December 2010, Shueisha stated that the Gintama anime would resume in April 2011. Gintama' (銀魂’), the sequel to the original Gintama anime, premiered in Japan on April 4, 2011. The main staff from the first TV series remain in Gintama' with Fujita as the director. Crunchyroll simulcasted the premiere of Gintama' to subscribers from its site. The first DVD from the series was released on July 27, 2011. The episode released on September 26, 2011 contains Sket Dance as a crossover special. The series ended on March 26, 2012 with a total of 51 episodes, which were collected in thirteen DVDs by Aniplex. The series premiered in TV Tokyo on October 4, 2012. It is a continuation of the second Gintama' anime that ended in March 2012. The main staff from the second TV series remain in Gintama with Yoichi Fujita as the director. The series ended on March 28, 2013 with a total of 12 episodes The episodes were collected in a total of four DVDs from December 19, 2012 to May 22, 2013. On December 21, 2014 during Jump Festa's super stage event, it was announced that a new Gintama TV series was in the works for an April 2015 premiere. Cast of Yorozuya; Tomokazu Sugita (Gintoki), Daisuke Sakaguchi (Shinpachi), and Rie Kugimiya (Kagura) attended the event. A key visual was also revealed. The new series aired on TV Tokyo and its affiliates for 51 episodes from April 8, 2015 to March 30, 2016, which also aired the previous seasons. Crunchyroll began streaming an English dub of the first 12 episodes of the series on February 1, 2017. 12 additional episodes were added weekly. A new season of Gintama was announced via Weekly Shōnen Jump in September 2016. On November 27, 2016, it was announced that the new season would premiere on January 9, 2017 on TV Tokyo and its affiliates. The staff from the Gintama° anime series returned to reprise their roles in this season. An anime, adapting the skipped comedic arcs taking place before the events of the Shogun Assassination Arc, began airing in October 2017. The series spanned 13 episodes and ran until December 25th. Sunrise announced that the final arc of the manga will be adapted into an anime series and began airing on January 7, 2018, spanning 12 episodes and running until March 25th. On March 15, it was announced that the series would go a hiatus until July 2018. There have been two films based on the franchise. The first one is Gintama: Shinyaku Benizakura-Hen (銀魂 新訳紅桜篇, lit. "Gintama: A New Retelling Benizakura Arc"), a retelling of the Benizakura arc from Gin Tama in which Kotaro Katsura is attacked by a member of the army Kiheitai, and Odd Jobs Gin start searching for him. One of the TV commercials of the film teases that the "true last scene" of the anime is in the film. It premiered on April 24, 2010, picking up US$2.118.342 on 90 screens during its first days, and earned US$12.86 million in total. Sentai Filmworks released the film in both DVD and Blu-ray format in North America on May 29, 2012 as Gintama: The Motion Picture. Manga Entertainment distributed the film in the United Kingdom while Madman Entertainment published it in Australia. A second film was announced in August 2012 by the Weekly Shonen Jump with the script being written this time by Hideaki Sorachi. It is titled Gintama: The Movie: The Final Chapter: Be Forever Yorozuya and follows Gintoki as he travels to a future where he has to deal with a mysterious group of sorcerers. It was released in Japan on July 6, 2013. Although the film is marketed as "Final" director Yoichi Fujita commented they would make a continuation if it became a hit. The film managed to surpass the success of its predecessor. At the Japanese box office, The Movie grossed ¥1.07 billion, and The Final Chapter grossed ¥1.7 billion, giving a total Japanese box office gross of ¥2.77 billion ($31 million) for both anime films. In June 2016, Shueisha announced the series will have a live-action adaptation of the series. It premiered on July 14 2017. Direction of the film as well as the script was handled by Yūichi Fukuda. The film stars Shun Oguri as Gintoki Sakata , along with Kanna Hashimoto as Kagura and Masaki Suda as Shinpachi Shimura. The film follows a retelling of the franchise's successful Benizakura arc in which Kotaro Katsura is attacked by a member of the army Kiheitai, and Odd Jobs Gin start searching for him. A sequel to the live-action was announced in November 2017 by Director Yuichi Fukuda and Shun Oguri and was slated to release in Summer 2018. In April 2018, it was announced that Shun Oguri, Kanna Hashimoto and Masaki Suda would reprise their roles as Gintoki, Kagura and Shinpachi respectively. The film was also given a working title of Gintama 2 (Kari) or Gintama 2 (Working title). which was eventually replaced by the final name, remaining as "Gintama 2: Okite wa Yaburu tame ni koso Aru". ("Gintama 2: the rules are made to broken"). The film premiered on August 17, 2018, raising 280 million yen on its first day, selling a million tickets in just 7 days. It was announced in Weekly Shōnen Jump's 8th issue of 2016 that the 65th and 66th volumes of the manga will be bundled with an original animation DVD each, the 65th manga volume scheduled to release on August 4, 2016, and the 66th manga volume scheduled to release on November 4, 2016. Both OADs will adapt the Love Potion arc in the manga. The music for the Gin Tama anime is composed by Audio Highs. On September 27, 2006, Audio Highs published the first CD soundtrack for the series known as Gintama Original Soundtrack. It featured 36 tracks including the TV version from the first opening theme and the first two ending themes. The second CD soundtrack, Gintama Original Soundtrack 2, was released on November 11, 2007. It included 40 tracks but it did not have TV versions of the opening and ending themes from the series. The next CD is Gintama Original Soundtrack 3 published on June 24, 2009. It features a total of 28 tracks including the theme "Dondake! Gintaman" (どんだけー! ギンタマン) which was used as a gag in episode 100 from the series. The fourth and latest CD soundtrack is composed of thirty-four tracks and was released on March 21, 2013. Apart from soundtracks from the TV series, there have been three CDs known as Gintama Best (銀魂 BEST) which include the full versions from the opening and ending themes. Each of the CDs also have an extra DVD with the original videos. The two movies have also had their own original CD soundtracks. A series of light novels based on the Gin Tama manga have been authored by Tomohito Ōsaki, illustrated by Hideaki Sorachi, and published by Shueisha. They feature the series characters transposed to a school setting with Gintoki acting as their teacher. It is running in Jump Square under the title 3-Nen Z-Gumi Ginpachi-sensei (3年Z組銀八先生, lit. "Grade 3 Class Z Ginpachi-sensei"). The first novel was published on February 3, 2006, while seven light novels have been published by Shueisha. A novelization of the second film has also been authored by Ōsaki and was released in 2013 alongside the film. In Japan, a PlayStation 2 Gin Tama game, Gintama: Together with Gin! My Kabuki District Journal (銀魂 銀さんと一緒!ボクのかぶき町日記, Gintama Gin-san to Issho! Boku no Kabuki-chō Nikki), was released on August 30, 2007, and a Wii game, Gintama: General Store Tube: Tsukkomi-able Cartoon (銀魂 万事屋ちゅ〜ぶ ツッコマブル動画, Gintama Yorozuya Chūbu Tsukkomaburu Dōga), was released on October 25, 2007. 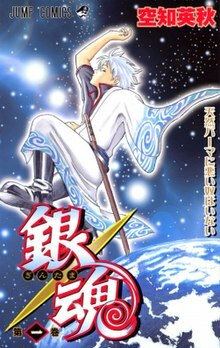 A game for the Nintendo DS called Gintama: Silver Ball Quest: Gin's Job-Change to Save the World (銀魂 銀玉くえすと 銀さんが転職したり世界を救ったり, Gintama Gintama Kuesuto Gin-san ga Tenshoku-shitari Sekai o Sukuttari) was released on December 6, 2007. Other two games for the DS include Gintama Dee-Ess: Odd Jobs Grand Riot! (銀魂でぃ〜えす・万事屋大騒動!, Gintama Dīesu Yorozuya Daisōdō!) and Gintama: Gintoki vs. Hijikata!? The Huge Fight Over Silver Souls in the Kabuki District!! (銀魂 銀時vs土方!? かぶき町銀玉大争奪戦! !, Gintama Gintoki vs Hijikata!? Kabuki-cho Gitama Daisōdatsusen!!). Gin Tama characters also appear in the Weekly Shōnen Jump crossover Jump Super Stars and its sequel, Jump Ultimate Stars, both for Nintendo DS. Gintoki also appears as a playable fighter in the Jump crossover fighting game J-Stars Victory VS on PlayStation 3 and PlayStation Vita, with Kagura and Sadaharu acting as support. "Gintama no Sugoroku - 銀魂のすごろく" was released on January 24, 2013 for the PlayStation Portable by Namco Bandai Games. On August 31, 2017, Bandai Namco Entertainment announced "Gintama Rumble", a hack and slash action game for the Playstation 4 and the Playstation Vita. There have been various guidebooks for the Gin Tama manga and its anime. The first guidebook for the manga is Gintama Official Character Book - Gin Channel! (銀魂公式キャラクターブック｢銀ちゃんねる!｣, Gintama Official Character Book - Gin Chaneru!) released by Shueisha on April 4, 2006. It features characters files, an interview with Hideaki Sorachi and original character stickers. The second book is Gintama Official Character Book 2 - Fifth Grade (銀魂公式キャラクターブック2 ｢銀魂五年生｣, Gintama Official Character Book 2 - Gonen-Sei) which was published on May 5, 2009. Like the previous book, this one also has an interview with Sorachi and files for the new characters that have appeared in the series since the first guidebook's release. The first guidebook for the anime is named Gintama Official Animation Guide "Gayagaya Box" (オフィシャルアニメーションガイド 銀魂あにめガヤガヤ箱). It was published on April 4, 2008 to celebrate the airing of the anime's 100th episode. This guidebook features commentaries by the Japanese voice actors and the cast from the series. It was followed by Official Animation Guide Gintama Anime Paraparakan (オフィシャルアニメーションガイド　銀魂あにめパラパラ館) on April 5, 2011. A series of three anime character guidebooks titled Gintama Character Book (銀魂キャラクターズブック, Gintama Kyarakutazu Bukku) have also been published in Japan within 2010. The Gin Tama manga had 50 million volumes in print as of May 2016 and over 55 million as of February 2018. In March 2007, Shueisha announced that sales of the first volume had passed one million copies. Following volumes from the manga have also had good sales, having appeared various times in the Japanese comic ranking. The 17th volume from the manga ranked as the 10th bestseller volume from Japan during 2007. During 2008, the manga ranked as the 10th bestseller series with over 2.3 million copies sold. It also hit number 5 in Japan in the most sold manga in the first half of 2009 list, selling over 2.7 million volumes from November 17, 2008 to May 17, 2009. In 2008 Gin Tama was featured in two Oricon surveys; it ranked at the top as "funniest manga" and 5th in "most interesting manga". In another survey from 2009, it was listed as the sixth choice for what manga could adapted into a live-action film. In a poll from Zassosha's Puff Japanese manga magazine, Gin Tama was second in the category "Best Long Stories". Fuji News Network has cited Gin Tama as one of the responsibles for the wooden swords' popularity during 2008 as Hokkaido's retailers have experienced brisk sales in wooden swords to foreigners. 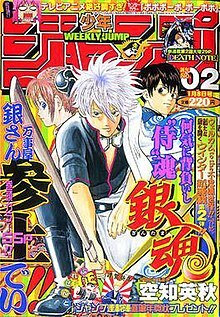 In North America, Gin Tama has ranked as the best new shōnen manga from 2007 in About.com's 2007 Readers Poll: Best New Shonen Manga. In the Society for the Promotion of Japanese Animation Award from 2008, Gin Tama was nominated for the category "Best Manga - Comedy", losing to Negima! Magister Negi Magi. English sales from the manga volumes have also been good with some of them having appeared in Diamond Comic Distributors's Top 300 Graphic Novels. The first Gin Tama light novel became the top-selling novel from Japan during 2006. The same achievement was made by the third novel during 2008. The anime adaptation has also been featured several times in the Japanese TV ranking, with the first two episodes having a rating of 5.6. DVD sales of the series have also been featured in the Japanese anime DVD ranking various times, while the third DVD of season 3 ranked ninth in the Japanese Amazon.com Top Ten of best sellers DVDs during 2008. In August 2008, TV Tokyo announced that Gin Tama and Naruto "contributed to robust sales of overseas rights in the last fiscal year which ended in March." In a poll from Puff, Gin Tama won in the category "Best Animation". The DVD from the Gin Tama OVAs became the top-selling OVA in Japan during 2009, having sold 61,226 units after two weeks of being released. In the Oricon survey "2009's Top-Selling DVDs in Japan", the same DVD ranked at the top of the category "Animation/Special Effects DVDs" with a total of 76,000 units sold. The CD soundtrack Gintama The Best received the "Animation Album of the Year award" from the Kinema Junpo's DVD Navigator Japanese magazine. Critical response to the Gin Tama manga has generally been positive. Carlo Santos from Anime News Network found the manga to be a "one-of-a-kind comedy" praising the characters' personalities and gags. On the other hand, the artwork was criticized for being "hard to follow" when there are fast scenes. Jokes regarding clichés from other shōnen series were also positively received by About.com writer Deb Aoki, who, like Santos, found the artwork to be "the only thing that distracts from the otherwise considerable pleasures of this loveable, goofy manga". However, characters' designs were praised for its variations including the ones from the aliens appearing in the series by Katherine Dacey from Pop Culture Shock who remarked that "These characters add visual interest and life to every panel, keeping the reader invested when the stories stall." Other negative comments regarding the manga have the few number of aliens appearing in the series as well as how some chapters are focused in fights such as Hijikata's fight against Gintoki. Michael Aronson from Manga Life concluded his review of the manga by saying that "The potential is there, but the execution is struggling" as still he liked the comedy from the story. Comics Village's Alex Hoffman mentioned that Gin Tama "can't truly be compared to those comics because of one thing: the jokes." He found the context from the series hilarious and like how there are new jokes in every chapter. Like other reviewers, Hoffman also disliked Sorachi's artwork, but still found the manga to be "a great comedy, or a great read." Comic Book Bin writer Leroy Douresseaux found that the large number of characters with different appearances in the series allow the reader to remain entertained with the series as "at least every few pages or so present some unusual and interesting visual." The anime adaptation of Gin Tama has received positive and mixed responses. The humor was noted to be improved after the series' introduction although some jokes were hard to understand because some of them are references to Japanese culture and other series. The notes on the DVD releases were criticized for lacking explanation of cultural jokes. Additionally, the humor's quality was found to be inconsistent within the first episodes due to the depth some bring, to the point that some viewers may abandon the series. The quality from the series was found to improve as the series continues as people would not be intimidated by its large number of episodes. The characters' action were praised due to their knowledge that their tendencies to "break the fourth wall", while the female characters were found appealing based on their unusual qualities. The series has been noted for its ability to shift between comedy and drama without a loss of quality. Episode 232 of the anime series had a defamatory depiction of a character that referenced a specific politician, the current Minister for Government Revitalisation Renhō Murata, which resulted in the cancellation of its rerun on AT-X. Series supervisor Shinji Takamatsu explained that TV Tokyo cancelled the rerun on its own. Renhō's representative denied having objected to the episode although a report from the Mainichi Shimbun paper stated the affected party contacted TV Tokyo. When the story arc the episode belonged to was completed, Takamatsu expressed doubts about the arc's release in DVD format. ^ "The Official Website for Gin Tama". Viz Media. Archived from the original on August 21, 2018. Retrieved October 27, 2017. ^ "Gintama on Funimation". Funimation. Archived from the original on April 1, 2018. Retrieved February 4, 2018. ^ "銀魂". eiga.com (in Japanese). Retrieved September 6, 2016. ^ a b Santos, Carlo (May 12, 2009). "RIGHT TURN ONLY!! Gin and Juice". Anime News Network. Retrieved August 3, 2009. ^ a b Sorachi, Hideaki (2008). Gin Tama, Vol. 6. Viz Media. p. 26. ISBN 978-1-4215-1619-6. ^ a b Aoki, Deb. "Gin Tama, volume 1 by Hideaki Sorachi". About.com. Retrieved July 11, 2009. ^ Santos, Carlo (July 8, 2008). "RIGHT TURN ONLY!! Strange Times". Anime News Network. Retrieved July 8, 2009. ^ a b Santos, Carlo (April 4, 2008). "Gin Tama, vol. 5 review". Anime News Network. Retrieved July 11, 2009. ^ Douresseaux, Leroy (June 29, 2009). "Gin Tama: Volume 13". Comic Book Bin. Retrieved August 4, 2009. ^ a b Sorachi, Hideaki (2008). Gin Tama, Vol. 7. Viz Media. p. 50. ISBN 978-1-4215-1620-2. ^ Santos, Carlo (June 26, 2007). "RIGHT TURN ONLY!! Yotsuba and RTO". Anime News Network. Retrieved July 8, 2009. ^ a b c "Quick Japan" (in Japanese) (86). Otashuppan. October 2009: 22–41. ISBN 978-4778311940. ^ Sorachi, Hideaki (2007). Gin Tama, Vol. 2. Viz Media. p. 152. ISBN 978-1-4215-1359-1. ^ Sorachi, Hideaki (2007). Gin Tama, Vol. 1. Viz Media. pp. 204–205. ISBN 978-1-4215-1358-4. ^ a b Sorachi, Hideaki (2008). Gin Tama, Vol. 5. Viz Media. p. 46. ISBN 978-1-4215-1618-9. ^ Sorachi, Hideaki (2007). Gin Tama, Vol. 1. Viz Media. p. 203. ISBN 978-1-4215-1358-4. ^ Sorachi, Hideaki (2008). Gin Tama, Vol. 6. Viz Media. p. 146. ISBN 978-1-4215-1619-6. ^ a b Sorachi, Hideaki (2009). 銀魂公式キャラクターブック2　「銀魂五年生」. Shueisha. pp. 194–195. ISBN 978-4-08-874805-4. ^ Sorachi, Hideaki (2008). Gin Tama, Vol. 3. Viz Media. p. 2. ISBN 978-1-4215-1360-7. ^ Sorachi, Hideaki (2008). Gin Tama, Vol. 3. Viz Media. p. 46. ISBN 978-1-4215-1360-7. ^ Sorachi, Hideaki (2008). Gin Tama, Vol. 7. Viz Media. p. 70. ISBN 978-1-4215-1620-2. ^ Sorachi, Hideaki (2009). Gin Tama, Vol. 10. Viz Media. p. 126. ISBN 978-1-4215-1623-3. ^ Sorachi, Hideaki (2008). Gin Tama, Vol. 3. Viz Media. p. 22. ISBN 978-1-4215-1360-7. ^ 2004年新年2号 [Year 2004, New Year edition] (in Japanese). Shueisha. Archived from the original on February 5, 2008. Retrieved June 18, 2009. ^ "Shonen Jump Posts 1st Japanese Chapters of 22 Manga for Free". Anime News Network. August 3, 2009. Retrieved August 10, 2009. ^ "January Shonen Jump Biggest Ever". Anime News Network. November 3, 2005. Retrieved June 19, 2009. ^ "Comic-Con: Shonen Jump Adds Gintama". Anime News Network. July 22, 2006. Retrieved June 17, 2009. ^ "Shonen Jump January 2007". Viz Media. Archived from the original on June 20, 2009. Retrieved June 19, 2009. ^ "Shonen Jump May 2007". Viz Media. Archived from the original on June 20, 2009. Retrieved June 19, 2009. ^ "Gintama Manga Ends in 5 Chapters". Anime News Network. August 20, 2018. Retrieved August 22, 2018. ^ Megan, Peters (September 12, 2018). "'Gintama' Will Reportedly Continue in New Magazine". comicbook.com. Retrieved September 13, 2018. ^ "Gintama Manga Moves to Jump Giga Magazine". Anime News Network. September 15, 2018. Retrieved September 15, 2018. ^ Hodgkins, Crystalyn (December 2, 2018). "Gintama Manga Starts Final Run in Jump GIGA Magazine on December 28". Anime News Network. Retrieved December 2, 2018. ^ "ジャンプGIGA 2019 WINTER vol.3" (in Japanese). Amazon. Retrieved February 21, 2019. ^ Hodgkins, Crystalyn (January 5, 2019). "Shueisha Confirms Gintama Manga Will End in 77th Volume". Anime News Network. Retrieved January 5, 2019. ^ Sherman, Jennifer (February 21, 2019). "Gintama Manga 'Continues' in App". Anime News Network. Retrieved February 21, 2019. ^ 銀魂―ぎんたま― 1 [Gintama 1] (in Japanese). Shueisha. Retrieved June 17, 2009. ^ 銀魂―ぎんたま―　72 (in Japanese). Shueisha. Retrieved April 7, 2018. ^ "Gin Tama, profiles". Viz Media. Archived from the original on June 20, 2009. Retrieved June 17, 2009. ^ "Gin Tama, Vol. 23". Amazon.com. Retrieved April 10, 2013. ^ "Gin Tama, Vol. 1". Viz Media. Retrieved June 17, 2009. ^ "News: Viz Confirms Gintama Manga 23 Is Final N. American Volume (Updated)". Anime News Network. April 14, 2011. Retrieved December 19, 2013. ^ Sorachi, Hideaki (2008). Gin Tama, Vol. 8. Viz Media. p. 46. ISBN 978-1-4215-1621-9. ^ a b "銀魂 ジャンプアニメツアー2008&2005 DVD" [Gintama Jump Anime Tour 2008 & 2005] (in Japanese). Amazon.com. Retrieved July 12, 2009. ^ "News: Gintama Gets New Event Anime Special in November". Anime News Network. July 15, 2014. Retrieved December 21, 2014. ^ "News: Gintama Manga to Bundle Unaired Anime Episode on DVD". Anime News Network. November 7, 2014. Retrieved December 21, 2014. ^ "Yoichi Fujita to Stop Directing Gintama This Spring". Anime News Network. January 1, 2009. Retrieved July 11, 2009. ^ "The loosely translated subtitle for the Gintama anime". Shonen Jump. Viz Media. 4 (1): 14. January 2006. ISSN 1545-7818. ^ "Gintama Anime to Continue for Fourth Year (Updated)". Anime News Network. February 19, 2009. Retrieved March 31, 2009. ^ 第190-201 [Episodes 190-201] (in Japanese). TV Tokyo. Archived from the original on April 16, 2010. Retrieved October 8, 2009. ^ "Gintama - Products - DVD" (in Japanese). Sunrise. Retrieved June 20, 2009. ^ "Gintama - Products - DVD 2" (in Japanese). Sunrise. Archived from the original on July 22, 2009. Retrieved June 20, 2009. ^ "Gintama - Products - DVD 3" (in Japanese). Sunrise. Archived from the original on July 4, 2009. Retrieved June 20, 2009. ^ 銀魂 シーズン其ノ四 1 (in Japanese). Amazon.com. Retrieved October 11, 2009. ^ 銀魂 シーズン其ノ四13 (in Japanese). Amazon.com. Retrieved December 22, 2010. ^ "Crunchyroll to Stream Shugo Chara, Skip Beat Anime (Update 2)". Anime News Network. November 20, 2008. Retrieved March 31, 2009. ^ "Multinational, Same-Day Debuts of Shippuden, Gintama, Kurokami". Anime News Network. January 8, 2009. Retrieved March 31, 2009. ^ a b "Sentai Adds Gintama, Hidamari Sketch x 365 Anime (Update 2)". Anime News Network. January 1, 2010. Retrieved February 28, 2010. ^ Beverdige, Chris (January 21, 2010). "Sentai Acquires Gintama, Asatte no Houkou and Cossette". Mania Entertainment. Retrieved January 23, 2010. ^ "Sentai Filmworks Considers More Gintama Based on Film Sales". Anime News Network. March 18, 2012. Retrieved June 17, 2012. ^ @ShortsHD (July 6, 2015). "Ani-make your day when you tune in to #Gintama - every day at 6 AM and 2 PM on #ShortsHD!" (Tweet) – via Twitter. ^ "Crunchyroll to Dub Release Anime on BD/DVD". Anime News Network. July 1, 2016. Retrieved July 1, 2016. ^ ｢銀魂｣最終回の日に両国国技館でイベント、全国で約2万人が"2期宣言"に拍手喝采 - ザテレビジョン (in Japanese). March 29, 2010. Retrieved June 21, 2010. ^ ナタリー - 井上ジョー新曲がアニメ｢よりぬき銀魂さん｣オープニング (in Japanese). May 25, 2010. Retrieved June 21, 2010. ^ "Gintama Director Shinji Takamatsu: 'It's Not Over'". Anime News Network. March 29, 2010. Retrieved March 29, 2010. ^ "News: Gintama TV Anime to Resume". Anime News Network. December 1, 2010. Retrieved December 5, 2010. ^ a b "News: Crunchyroll to Simulcast Gintama TV Anime's Return". Anime News Network. March 28, 2011. Retrieved March 28, 2011. ^ スタッフ (in Japanese). TV Tokyo. Retrieved April 5, 2011. ^ "Gintama' 1 Regular Edition". Neowing. Retrieved June 7, 2011. ^ "Gintama x SKET Dance Anime Crossover Planned". Crunchyroll. September 5, 2011. Retrieved September 12, 2011. ^ a b "New Gintama Anime Episodes to Resume on TV". Anime News Network. August 26, 2012. Retrieved August 26, 2012. ^ 銀魂´ (in Japanese). Aniplex. Retrieved September 11, 2013. ^ "銀魂´ 延長戦 01(完全生産限定版) DVD (2012)" (in Japanese). Amazon.com. Retrieved August 19, 2013. ^ "銀魂´ 延長戦 04(完全生産限定版) DVD (2013)" (in Japanese). Amazon.com. Retrieved August 19, 2013. ^ "News: Gintama Gets New TV Anime Series in April". Anime News Network. December 21, 2014. Retrieved December 21, 2014. ^ "Crunchyroll Adds English-Dubbed Episodes of Gintama". Anime News Network. February 1, 2017. Retrieved February 1, 2017. ^ "Gintama Manga Gets New TV Anime Series". Anime News Network. September 21, 2016. Retrieved November 27, 2016. ^ "New Gintama Anime Premieres on January 8, Switches to Late Night Timeslot". Anime News Network. November 27, 2016. Retrieved December 5, 2016. ^ "New Gintama Anime Reveals Returning Staff, Visual". Anime News Network. December 5, 2016. Retrieved December 5, 2016. ^ ""Gintama" Anime To Return This Fall". Crunchyroll. July 3, 2017. Retrieved July 3, 2017. ^ "'Gintama' Anime Confirms Upcoming Hiatus, Return Date". comicbook. Retrieved March 15, 2018. ^ "Gintama, Precure, Shin-chan Movie Trailers Streamed". Anime News Network. December 12, 2009. Retrieved December 12, 2009. ^ Page, Elliot (December 24, 2012). "Anime Review: Gintama: The Movie". UK Anime Network. Retrieved September 7, 2013. ^ "Gintama Gets 2nd Film Written by Manga Creator". Anime News Network. August 22, 2012. Retrieved August 26, 2012. ^ "'Final' Gintama Film Director Discusses Possible Continuation". Anime News Network. Retrieved August 5, 2013. ^ "'Final' Gintama Film Sells 1 Million+ Tickets". Anime News Network. Retrieved August 5, 2013. ^ 2010年（平成22年）興収10億円以上番組 (PDF) (in Japanese). Japanese Film Producers Association. Retrieved December 12, 2013. ^ "2013". Eiren. Japan Motion Picture Producers Association. Retrieved 11 February 2019. ^ "Gintama Manga Gets Live-Action Film Adaptation in 2017 Starring Shun Oguri". Anime News Network. June 30, 2016. Retrieved June 30, 2016. ^ "Live Action Gintama Film reveals main cast". Anime News Network. 12 May 2016. ^ "Gintama Live Action film gets sequel in Summer 2018". Anime News Network. 16 November 2017. ^ "Live-Action Gintama Film Sequel Brings Back Shun Oguri, Masaki Suda, Kanna Hashimoto". Anime News Network. 15 April 2018. ^ "Live-Action Gintama 2 Sells One Million Tickets in Just 7 Days". Crunchyroll. August 24, 2018. Retrieved September 3, 2018. ^ "Comedy-Centric Gintama 2nd Web Drama Releases Main Visual and Trailer". Crunchyroll. July 29, 2018. Retrieved September 3, 2018. ^ "Gintama 2 - The Exceedingly Strange Gintama-chan (2018) Episode List". IMDb. Retrieved September 3, 2018. ^ "La serie live-action de Gintama 2 alcanza 4 millones de reproducciones en su primer episodio". Ramen para dos (in Spanish). August 26, 2018. Retrieved September 3, 2018. ^ "Gintama Manga's 65th, 66th Volumes to Bundle Original Anime DVDs". Anime News Network. January 24, 2016. Retrieved January 24, 2016. ^ a b c オリジナル・サウンドトラック (in Japanese). Aniplex. Retrieved September 11, 2013. ^ "銀魂 BEST" (in Japanese). Aniplex. Retrieved September 11, 2013. ^ 劇場版 銀魂 (in Japanese). Aniplex. Retrieved September 11, 2013. ^ "銀魂3年Z組銀八先生" [Grade 3 Class Z Ginpachi-sensei] (in Japanese). Shueisha. Retrieved June 19, 2009. ^ "帰ってきた3年Z組銀八先生フォーエバ－　さらば、愛しき3Zたちよ" (in Japanese). Shueisha. Retrieved September 13, 2013. ^ 劇場版 銀魂 完結篇 (in Japanese). Shueisha. Retrieved August 22, 2013. ^ "Gintama Gin-San to Issho". GameSpot. Retrieved July 10, 2009. ^ "Gintama: Banji Oku Chuubu". GameSpot. Archived from the original on July 22, 2011. Retrieved July 10, 2009. ^ "Gintama: Gin-Oh Quest". GameSpot. Retrieved July 10, 2009. ^ "Gintama DS: Yorozuya Daisoudou". GameSpot. Retrieved July 10, 2009. ^ "Gintama: Gintoki vs. Dokata". GameSpot. Retrieved July 10, 2009. ^ "ガンバリオン公式ホームページ 開発タイトル一覧 JUMP SUPER STARS(ジャンプスーパースターズ)" [Jump Super Stars] (in Japanese). Ganbarion. Archived from the original on July 3, 2008. Retrieved September 29, 2008. ^ "ガンバリオン公式ホームページ 開発タイトル一覧 JUMP ULTIMATE STARS(ジャンプアルティメットスターズ)" [Jump Ultimate Stars] (in Japanese). Ganbarion. Archived from the original on May 22, 2008. Retrieved September 29, 2008. ^ 銀魂公式キャラクターブック｢銀ちゃんねる!｣ [Gintama Official Character Book - Gin Channel!] (in Japanese). Shueisha. Retrieved July 26, 2009. ^ 銀魂公式キャラクターブック2 ｢銀魂五年生｣ [Gintama Official Character Book 2 - Gonen-Sei] (in Japanese). Shueisha. Retrieved July 26, 2009. ^ オフィシャルアニメーションガイド 銀魂あにめガヤガヤ箱 [Gintama Official Animation Guide "Gayagaya Box"] (in Japanese). Shueisha. Retrieved July 26, 2009. ^ オフィシャルアニメーションガイド　銀魂あにめパラパラ館 [Official Animation Guide Gintama Anime Paraparakan] (in Japanese). Shueisha. Retrieved April 11, 2011. ^ "銀魂キャラクターズブック　VOL．1" [Gintama Character Book 1] (in Japanese). Shueisha. Retrieved April 11, 2011. ^ "銀魂キャラクターズブック　VOL．3" [Gintama Character Book 3] (in Japanese). Shueisha. Retrieved April 11, 2011. ^ "Gintama Manga Has 50 Million Copies in Print in Japan" (in Japanese). Anime News Network. May 2, 2016. Retrieved May 2, 2016. ^ Aoki, Deb. "Gin Tama Manga Profile and Story Summary". About.com. Retrieved July 11, 2009. ^ "Japanese Comic Ranking, February 12–18". Anime News Network. February 22, 2008. Retrieved July 10, 2009. ^ "Japanese Comic Ranking, April 1–7". Anime News Network. April 10, 2008. Retrieved July 10, 2009. ^ "Japanese Comic Ranking: Top 10 Manga of 2007". Anime News Network. December 31, 2007. Retrieved July 4, 2009. ^ "2008's Top-Selling Manga in Japan, by Series". Anime News Network. January 2, 2009. Retrieved July 4, 2009. ^ "Top Selling manga in Japan by series (first half of 2009)". Anime News Network. June 15, 2009. Retrieved June 19, 2009. ^ 一番笑った漫画1位、女性から人気の｢銀魂｣ [Ichiban waratta manga 1 kurai, josei kara ninki no (gin tamashii)] (in Japanese). Oricon. April 22, 2008. Archived from the original on August 26, 2009. Retrieved December 5, 2009. ^ "10代に聞いた"ハマッた漫画"、男女ともに｢ONE PIECE｣が人気" [10 dai ni kii ta "hamatsu ta manga", danjo tomoni (ONE PIECE) ga ninki] (in Japanese). Oricon. September 23, 2008. Archived from the original on November 19, 2009. Retrieved December 5, 2009. ^ "Survey: Slam Dunk Manga is #1 Choice for Live-Action (Updated)". Anime News Network. May 3, 2009. Retrieved July 10, 2009. ^ a b 雑誌インフォメーション [Zasshi infome^shon] (in Japanese). Chousha. February 28, 2007. Archived from the original on March 12, 2007. Retrieved December 7, 2009. ^ "Gintama Cited for G8 Visitors Buying Wooden Swords". Anime News Network. July 11, 2008. Retrieved July 10, 2009. ^ Aoki, Deb. "2007 Readers Poll: Best New Shonen Manga". About.com. Archived from the original on January 20, 2013. Retrieved June 26, 2009. ^ "Society for the Promotion of Japanese Animation Announces SPJA Industry Award Finalists at Tokyo International Anime Fair". Anime News Network. March 27, 2008. Retrieved July 4, 2009. ^ "Anime Expo 2008 Announces the 2008 SPJA Award Winners". Anime News Network. July 4, 2008. Retrieved July 4, 2009. ^ "Top 300 Graphic Novels Actual--May 2009". ICv2. June 15, 2009. Retrieved August 3, 2009. ^ "Top 300 Graphic Novels Actual--March 2009". ICv2. April 15, 2009. Retrieved August 3, 2009. ^ "Manga-Based Novels Tops in Japan". ICv2. December 19, 2006. Retrieved August 26, 2009. ^ "2008's Top-Selling Light Novels in Japan (Updated)". Anime News Network. April 1, 2009. Retrieved July 10, 2009. ^ "Japanese Anime TV Ranking, April 7–13: Blue Dragon". Anime News Network. April 22, 2008. Retrieved July 11, 2009. ^ "Japanese Anime TV Ranking, March 31–April 6". Anime News Network. April 18, 2008. Retrieved July 11, 2009. ^ "VOL.15 2006年 4月3日(月)〜 4月9日(日)" [VOL.15 2006 nen 4 gatsu 3 nichi (gatsu)~ 4 gatsu 9 nichi (nichi)] (in Japanese). Video Research. Archived from the original on May 24, 2008. Retrieved November 24, 2009. ^ "Japanese Anime DVD Ranking, April 25-May 1". Anime News Network. May 3, 2007. Retrieved July 10, 2009. ^ "Japanese Animation DVD Ranking, June 22–28". Anime News Network. June 30, 2009. Retrieved July 10, 2009. ^ "Amazon Japan Posts 2008's Top-10 DVDs, CDs, Toys". Anime News Network. December 12, 2008. Retrieved July 11, 2009. ^ "Naruto Manga Printed in 23 Nations, Anime Aired in 60+". Anime News Network. August 14, 2008. Retrieved July 11, 2009. ^ "Japanese Animation DVD Ranking, October 5–11". Anime News Network. October 14, 2009. Retrieved October 14, 2009. ^ "2009's Top-Selling DVDs in Japan (Overall)". Anime News Network. December 24, 2009. Retrieved December 25, 2009. ^ "K-On! Wins DVD of the Year, Gold Disc of the Year Awards". Anime News Network. February 26, 2010. Retrieved February 26, 2010. ^ Dacey, Katherine (June 20, 2007). "Weekly Recon, 6/20/07". Pop Culture Shock. Archived from the original on 2010-07-01. Retrieved June 25, 2009. ^ Aronson, Michael. "Gin Tama v2". Manga Life. Silver Bullet Comics. Archived from the original on May 5, 2009. Retrieved July 11, 2009. ^ Hoffman, Alex. "Gin Tama, Vol. 8 (Hideaki Sorachi)". Comics Village. Archived from the original on October 11, 2009. Retrieved June 26, 2009. ^ Douresseaux, Leroy (September 2, 2007). "Gin Tama: Volume 2". Comic Book Bin. Retrieved July 12, 2009. ^ a b Martin, Theron (May 1, 2010). "Gintama DVD - Collection 1". Anime News Network. Retrieved December 22, 2010. ^ a b Beveridge, Chris (June 23, 2010). "Gintama Collection 02". Mania Entertainment. Retrieved December 22, 2010. ^ a b c Finnegan, Erin (September 27, 2010). "Shelf Life Do You Believe in Magica". Anime News Network. Retrieved December 22, 2010. ^ McNulty, Amy (January 21, 2016). "Gintama Episode 306". Anime News Network. Retrieved January 21, 2016. ^ "Gintama' #232 to Not Run on AT-X at TV Tokyo's Request". Anime News Network. November 11, 2011. Retrieved September 14, 2013. ^ "TV Tokyo Decided to Pull Gintama' Episode on Its Own". Anime News Network. November 24, 2011. Retrieved September 14, 2013. ^ "Gintama' Producer Indicates Edited Renhō Arc on Home Video". Anime News Network. November 29, 2011. Retrieved September 14, 2013.